Out with the old and in with the new. Purchasing a new appliance is quite an investment. You’ve researched online for the appliance with the most features, best ratings and most affordable price. You even went into the store to test it out and see for yourself. The big day has arrived and your double decker, candy apple red washer and dryer has finally arrived. But what about the old hunk of junk you’re replacing? This is where we come in. Junk Removal of STL can arrive the same day to remove your rusted and outdated machine. You live out town and your mom still lives in your childhood home, with many of the same old appliances that you've always had. You come home every Christmas and this holiday season you want to lessen her load – literally and display your love with all new appliances. First on the list is a new washer and dryer. You’ve already ordered the flat screen T.V., dishwasher, DVD player, fridge, microwave and fancy oven. Once she’s done fussing about how much money you spent, she’s gonna love it. In the meantime, we will haul away the old washer and dryer, T.V. dishwasher, VCR, microwave, stove, freezer and refrigerator. We’ll take smaller items like coffee machines, blenders, stereo systems and cake mixers. Don’t let cost get in the way of having a clutter free yard and basement. Usually people get a bout of sticker shock and instead of calling us to haul it away for a nominal fee, the put it in the backyard, the back porch or store it in the basement. Meanwhile, it’s taking up valuable space and now you’re starting to look like Sanford & Son. Our appliance removal costs are beyond affordable. Essentially what you are paying for is the transportation costs, labor and landfill dumping fee. More more detailed information about our fees and services, contact us today. There are few things more frustrating than carving out time in your schedule for a service provider, only to have them not show up. That will make anyone’s blood boil. At Junk Removal of STL we respect your time and we value your business. When you contact us to remove an appliance from your home or business, the receptionist will provide you with a short lead time. In many cases we can arrive later that day or first thing the next morning. She will give you an accurate ETA. Our drivers arrive on time. You can plan your day without hesitation because we never leave a customer hanging. One man’s trash is another man’s treasure. The receptionist will inquire about the condition of your appliances via phone or email. If they are in decent condition, we will drop it off at the local Goodwill. 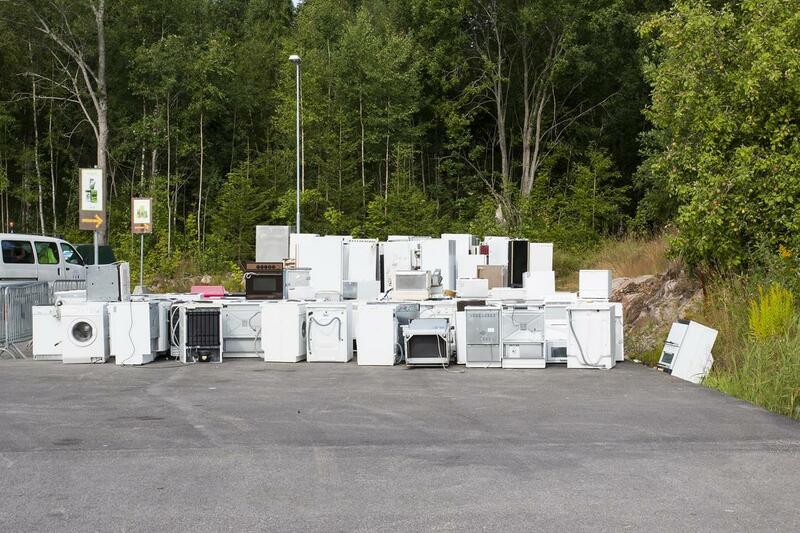 Someone just starting over and in need will make good use of your old appliances. As a locally based company, we believe in giving back and strengthening our community. When your appliances are so old that they can cause an electrical fire or not in working condition, we will drop them off at the St. Louis City Public Dump.